How One Man Saved His Country From A Nightmare Virus Called Nipah : Goats and Soda People were dropping dead in Malaysia, and no one could figure out why their brains were swelling. A young scientist solved the mystery. Then he had to get people to believe him. It was a balmy Sunday evening in early 1999, and Dr. Kaw Bing Chua hadn't had lunch or dinner. There wasn't time to eat. Chua was chasing a killer. And he thought maybe he had finally tracked it down. He slid the slide under the microscope lens, turned on the scope's light and looked inside. "A chill went down my spine," Chua says. "The slide lit up bright green, like bright green lanterns." Right there, in Chua's hands, was a virus the world had never seen before. And as he soon learned, it's also one of the most dangerous ones. The new virus — eventually called Nipah — is on the World Health Organization's list of viruses most likely to cause a global pandemic. It's the virus that inspired the 2011 movie Contagion. And just this past January, governments and philanthropists pledged hundreds of millions of dollars to develop a Nipah vaccine because it poses such a big threat. But nobody believed him. Chua was still training in virology at the University of Malaya in Kuala Lumpur and didn't have clout or confidence. "I called my department head at his home. I said, 'Prof, please come. I want to show you something,' " Chua says. Chua's professor told him to throw away the experiments — that Chua was wasting time. But Chua didn't throw away the virus. Instead he packed it up and brought the samples to the U.S.
An hour south of Chua's laboratory experiments, a mysterious disease was devastating a farming town called Nipah. The disease was as deadly as Ebola, but instead of attacking blood vessels, it attacked the brain. It felt like living in a nightmare, says Thomas Wong, who was a pig farmer in Nipah at the time. "Every day we were seeing in the newspaper that people were dying," Wong says. "I lost many friends. Many friends." 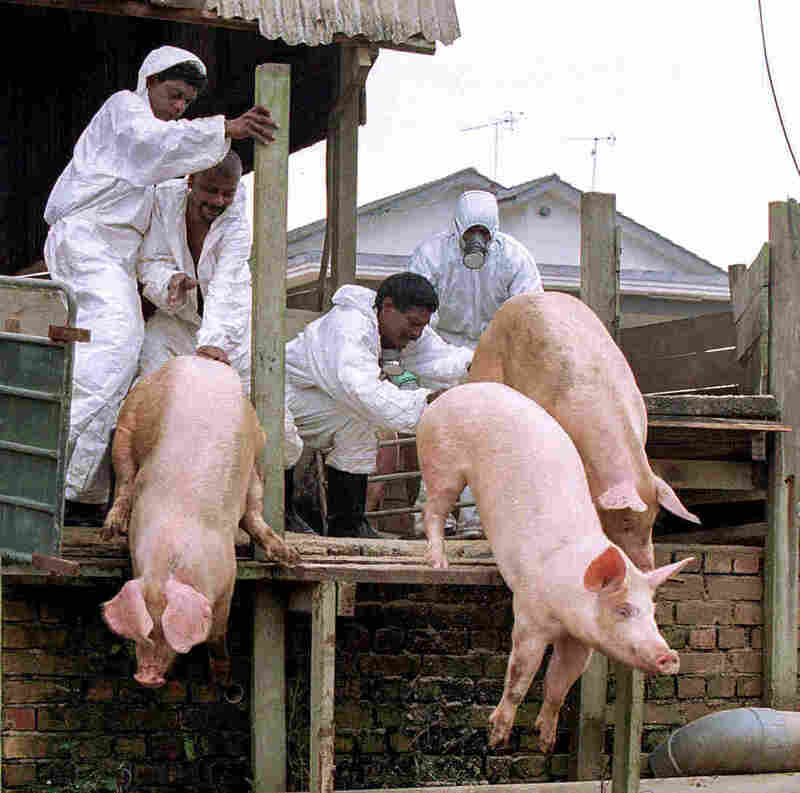 Pig farm workers push live pigs into a large grave in Nipah in 1999. 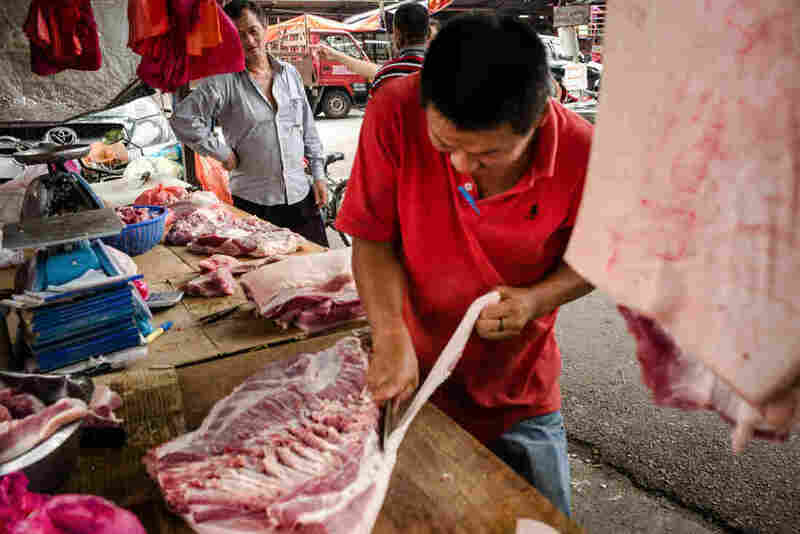 To stop the outbreak, the Malaysian government culled almost 1 million pigs, nearly destroying the country's pork industry. Young men would be healthy one day. The next day their brains would swell up. They couldn't walk. Or talk. "They'd become comatose, and some of them became paralyzed," says Dr. C.T. Tan, a neurologist at the University of Malaya, who took care of patients from Nipah. Some people even had what looked like locked-in syndrome — they were conscious and awake but couldn't move or speak. "We didn't know what it was," he says. "It was terrifying." Thomas Wong, 63, was a pig farmer in Nipah when the outbreak began in 1998. 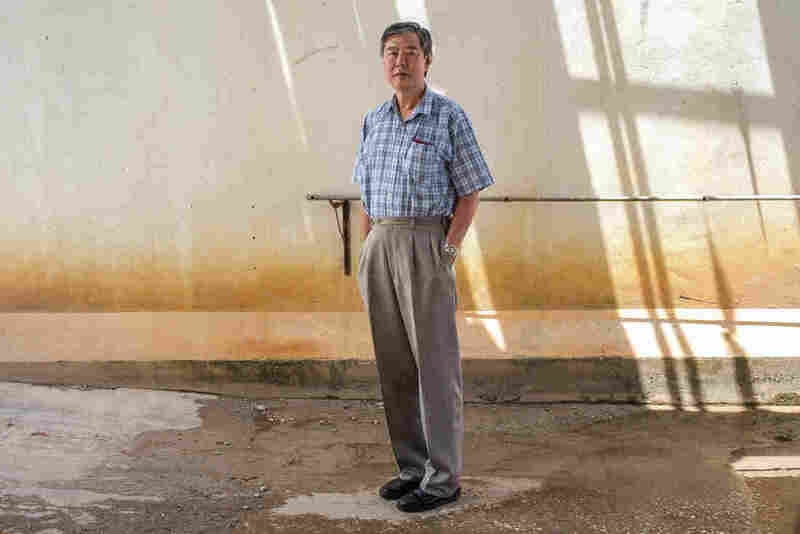 He says there were so many pigs dying that the whole town "smelled like death." Wong lost his farm during the outbreak. Both Tan and Chua thought the government was wrong. And there was one big clue: "No Muslims were getting sick," Tan says. Mosquitoes don't care which religion you practice. 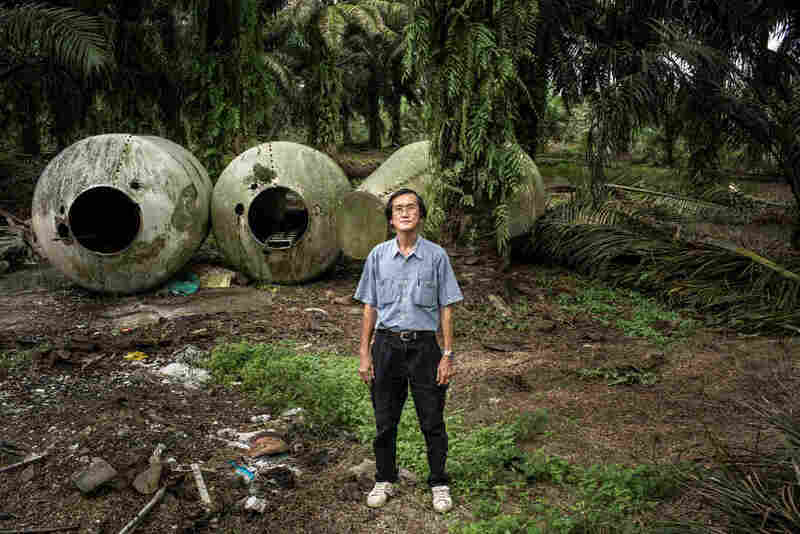 "So if the disease was coming from mosquitoes, you would have Muslims, Hindus and Christians getting sick," Tan says. "As you know, Muslims don't handle pigs," Tan says. The entrance to the town of Nipah, which the Malaysian government quarantined in 1999 to try to stop the spread of a new deadly virus. 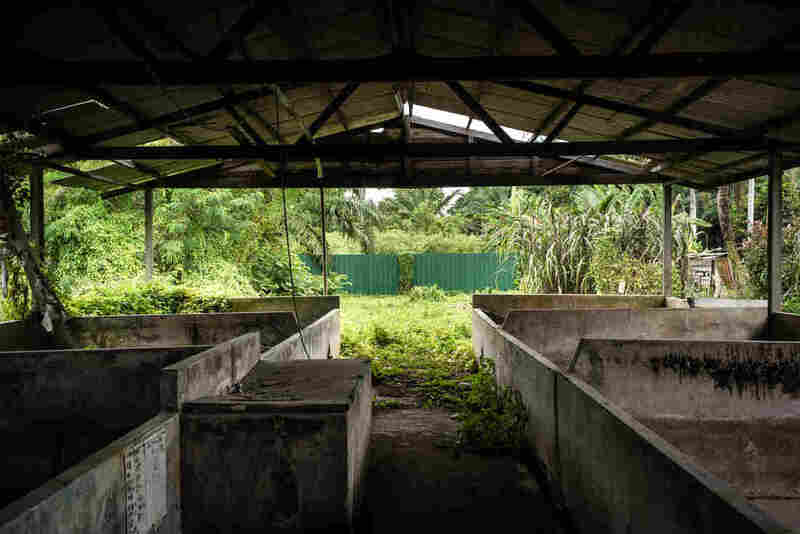 "It was like a ghost town," says Thomas Wong, a former pig farmer in Nipah. "No one could come in. No one could leave." At this point, Chua agreed with Tan: This disease wasn't coming from mosquitoes. "No, no I knew it was something else, and people were dying!" he exclaims. "But no one would believe me," he says. "I was practically begging people to believe me." "It was an emergency," Chua says. "I had to get the samples there very quickly." When a scientist put the samples into the microscope, Chua says a sense of great fear rushed through him: "The moment I saw the screen, I said 'Goodness! It's a paramyxo!' "
These viruses come from livestock, not mosquitoes. And they often infect the lungs. So they can spread rapidly through the air. Measles is a type of paramyxovirus, and it's one of the most contagious viruses on Earth. Chua quickly realized just how dangerous this virus could be. He rushed to a phone and called officials in Malaysia. "Stop fighting mosquitoes!" he told them. "It's coming from pigs." "Malaysia's army moved in for the country's biggest-ever animal culling," Journeyman Pictures reported in a documentary back in 1999. "Almost 1 million pigs, shoved into pits and shot." 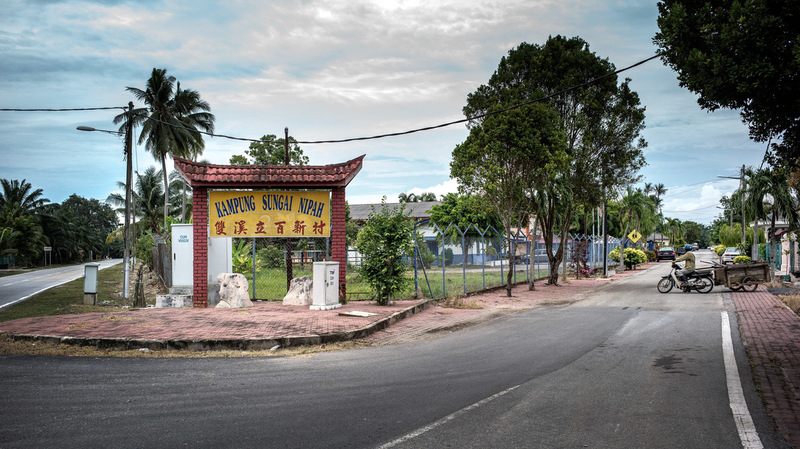 "The pigs were screaming, and you could see some tears on their faces," says Muniandy, who's with the Department of Veterinary Services Malaysia. "It was pitiful." "In the olden days, the pigs were running and the family would look after a few pigs," neurologist Tan says. Then in the '80s and '90s, Malaysia went through a massive economic boom. Families were entering the middle class. They could afford to eat pork several times a week. So farmers changed the way they raised pigs. They started packing the pigs into tight quarters and industrializing the farms. They could produce more meat with fewer resources. But the productivity bump came with a cost: "When a virus got into the pigs, it could multiply very quickly," Tan says. When you have thousands and thousands of pigs on one farm, there's a seemingly endless supply of new piglets to infect. The pig factory becomes a virus factory. The virus spreads like wildfire through the whole farm. Hops to another farm. And eventually jumps into farmers. "The way people grow their food has changed; so has the way diseases spread," Tan says. "Agricultural industrialization was part of what triggered the outbreak." Now we're in a new phase of agriculture: factory farming. From it, we've gotten a new strain of the flesh-eating bacteria disease MRSA, a slew of bird flus, swine flu and Nipah. And there are signs the virus is becoming more dangerous. In the Malaysian outbreak, the fatality rate was about 40 percent, and the virus didn't seem to spread between people. But more recently, Nipah has killed up to 70 percent of those infected — and can spread not only from animals to people but also between people. "The world is changing so fast," says Tan. And sometimes the only way to keep up is when a scientist like Chua isn't afraid to challenge the status quo.